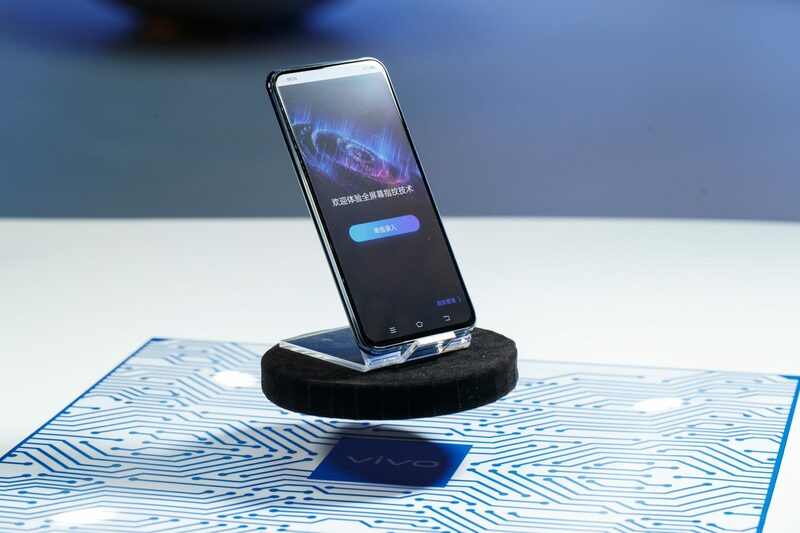 SINGAPORE, 25 JANUARY 2019 – Vivo announced yesterday at a press conference in Beijing the launch of the new APEX 2019 concept smartphone. Vivo’s first 5G smartphone offers an ultra-simple and uniquely recognisable design with Curved-Surface Waterdrop Glass and no openings, seams or bezels for a simpler user experience. Packed with cutting-edge technologies and features, the APEX 2019 showcases a brand-new minimalist concept that takes smartphone design to a whole new level. “With the goal of enhanced usability and simplicity at the core, APEX 2019 offers consumers a glimpse into the future of smartphone design and development. The Super Unibody design and Full-Display Fingerprint Scanning technology, among several other breakthrough features, make APEX 2019 a truly exceptional smartphone that demonstrates Vivo’s continuous exploration and pursuit of exceptional innovation for consumers,” said Spark Ni, Senior Vice President, Vivo. The APEX 2019 introduces a sleek and truly FullViewTM design that renders the bezel extinct. The device successfully delivers an unconventional smartphone experience by completely removing physical buttons – instead adopting Touch Sense technology, which brings together capacitive touch and pressure-sensing. With carefully designed programming logic and software, the pressure sensors can tell if a user is pressing the frame and the capacitive touch can determine its position, providing extra-sensitive accuracy. The APEX 2019 also turns its display into a speaker by using Body SoundCasting technology, transforming the entire APEX 2019 display into a speaker via the screen vibration function, avoiding the need for a speaker grill. The APEX 2019 comes equipped with Full-Display Fingerprint Scanning technology, with a sensor covering almost the entire display. This enables users to touch almost anywhere on the screen to unlock the device seamlessly, supported by Vivo’s cutting-edge Fingerprint Light function – when the user’s finger is close to the display, the pixels around the touch point will automatically light up as an additional light source to help obtain a clear fingerprint image. Vivo’s first 5G smartphone runs on the Qualcomm Snapdragon 855 platform with 12GB RAM, a super-large memory of 512GB, and is equipped with Jovi AI Assistant, along with many other smart functions. The APEX 2019’s 5G mobile network capability enables an enhanced experience for video viewing, cloud gaming and a variety of other user scenarios. The APEX 2019 has also solved the challenge of limited motherboard space by using a Duplex PCB Design which has increased the available space by 20% to minimize the overall stacking space. This is Vivo’s solution to free up space for the 5G modules, making the phone a true unibody 5G phone. The APEX 2019 will be showcased at the Mobile World Congress (MWC) in Barcelona at the end of February and visitors to the event will have the opportunity to enjoy a first-hand viewing.